The proposed NNN rule is premised on flawed analysis. This proposed rule is particularly significant in that it marks the first time the FDA has attempted to establish product standards for tobacco products under the Family Smoking Prevention and Tobacco Control Act (“the Act”) since the Act was signed into law by President Obama in 2009. Unfortunately, in its issuance and publication, the FDA failed to follow the Advanced Notice of Proposed Rulemaking (ANPRM) process that they themselves previously followed when rulemaking pursuant to this Act. The ANPRM allows an agency to solicit and benefit from public participation in the creation of a proposed rule before it is published. In this instance, the FDA should have issued advanced notice of the intent to establish product standards related to NNN for smokeless tobacco products so that those most familiar with the topic and most affected would have an opportunity to educate the FDA before a proposed rule was drafted and published. Unfortunately, that didn’t occur here and the rule suffers from this failure. On all previous occasions that the FDA has proposed rules under the Act, i.e. 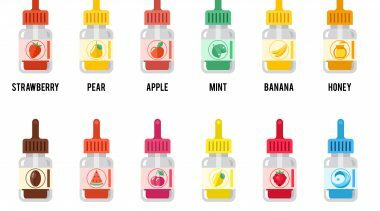 those for child-resistant packaging for e-liquids (July 2015), menthol in cigarettes (July 2013), non-face-to-face sales of tobacco products (December and September 2011) and outdoor advertising (March 2010), the agency followed ANPRM guidelines. It is thus both perplexing and disappointing that the agency chose not to follow the guidelines for this rule, especially since the rule ventures into new areas in which the agency has not previously regulated and enjoys no particular expertise. Had the agency followed the ANPRM process, it would have acquired critically important input from affected parties that would have informed and improved certain aspects of the rulemaking. Specifically, had the guidelines been followed, the FDA would have given consideration to the feasibility of the rule, whether compliance is possible, and the high likelihood of significant financial and human costs borne by affected businesses, farmers, consumers and the public. In short, had the agency followed the ANPRM process, it would have been afforded the opportunity better to understand the impact of its proposed rule on the public and public health. Under the Act, Congress mandates that FDA consider the technical achievability of compliance and the potential for creating demand for black market products. In this instance, had the ANPRM process been followed, there is a strong likelihood that information would have been provided to the agency indicating that it would be practically impossible for manufacturers to meet the 1 ppm NNN (dry weight) standard and still produce the same American moist smokeless tobacco products that have been sold to millions of consumers for centuries. 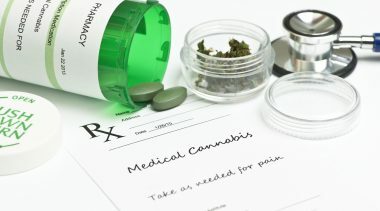 Moreover, it would have appreciated that the resultant significant alterations to, or effective ban on existing products would likely result in substantial illegal production and sale (i.e. 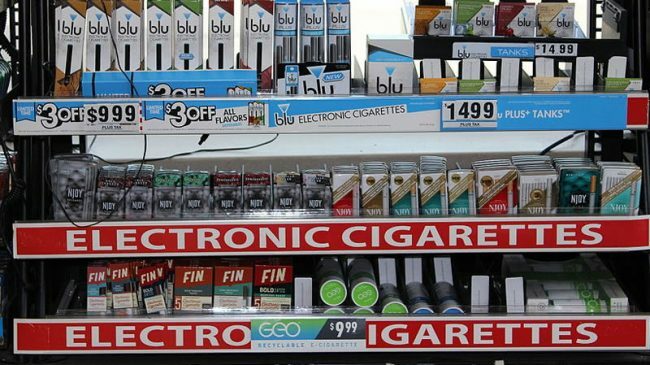 a “black market”) of American smokeless products, to meet continued consumer demand. Such a black market would have major consequences for law enforcement, as well as for consumers. The NNN content of smokeless tobacco products is affected at various stages in the farming and manufacturing process and even as it sits on the shelves. In general, NNN levels are greatly affected by climate and weather – factors that are location specific, cannot be controlled, and change from year to year, month to month, day to day and even field to field. One of the most significant factors affecting NNN levels is relative humidity. The dark tobacco used in most American smokeless tobacco products comes primarily from a specific region of Kentucky and Tennessee. Because of the high relative humidity in that region, it is practically impossible to achieve the NNN level required by the rule. One possible reason that the agency chose the NNN standard it did is that it assumed that certain processes used to create Swedish snus products (a very low NNN smokeless tobacco product) could simply be required for all U.S. smokeless tobacco. What the agency would have learned had it followed the ANPRM process is that Swedish snus and American smokeless tobacco are different products; they possess different product attributes and the consumption experience of the two products is distinctly different. If American consumers are no longer able legally to purchase something very similar to the American moist smokeless tobacco to which they are accustomed, many are likely to turn to the black market. Almost all the dark tobacco used to manufacture American smokeless products is sourced in a small region of Kentucky and Tennessee. The tobacco used to produce Swedish snus-style products, perhaps what the FDA is attempting to mandate in the rule, comes from outside the U.S. The arbitrary 1 ppm NNN standard set in the proposed rule, may well require replacing Kentucky and Tennessee tobacco with tobacco from outside the U.S. In the underlying Act, Congress addresses standards and expressly raises “structuring the standard so that it does not advantage foreign grown tobacco over domestically grown tobacco.” The NNN standard in the proposed rule may do exactly that, with no demonstrated benefit to health. Additionally, if the ANPRM standard were followed, the FDA might also have realized the likelihood that current production of tobacco domestically or internationally is insufficient to meet the demand necessary for compliance with the proposed standard. In promulgating the rule as written, the agency has demonstrated that it does not possess expertise in the production, distribution, sale or use of American moist smokeless tobacco. As such, it is incumbent on the agency to acquire such expertise from persons outside the agency. 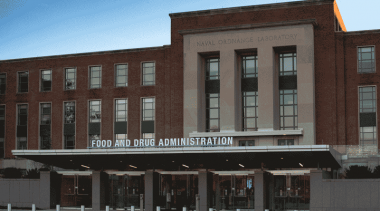 Had it followed the ANPRM process, such expertise would have been forthcoming and the FDA might have abandoned the proposed rule altogether or altered it significantly. Unfortunately, the FDA did not follow the ANPRM and did not acquire relevant information from experts concerning the likely consequences of the rule. As a result, under the rule as written there is a strong likelihood that FDA fails to meet its obligation to ensure that technical compliance is possible, to avoid the creation of black markets, and to avoid granting undue advantage foreign grown tobacco. On that basis, the rule should be withdrawn. The Center for Tobacco Products (CTP) announced the NNN rule on the final day of President Obama’s administration and the proposed rule was published in the Federal Register on January 23, 2017 shortly after the Presidential inauguration and in midst of a new President assuming office. Within hours of publication in the Register, a comment was filed by a coalition of interest groups collaboratively (American Academy of Pediatrics, Cancer Action Network, American Heart Association, American Lung Association, Campaign for Tobacco Free Kids and Truth Initiative). Given how little time elapsed between publication of the rule and the filing of the comment, questions arise as to whether there was coordination or consultation by the CTP with these groups prior to publication. As indicated above, the decision not to follow the ANPRM process necessarily excluded American businesses, workers, farmers, scientists, policy experts and the public from the drafting process. If the outside special interest groups listed above were not provided prior knowledge of the proposed rule or perhaps input into the rule’s creation, a reasonable person is left wondering how six large organizations could possibly have each reviewed a highly technical, 50–page rule, reached conclusions on the specific merits and crafted a collaborative response that all agreed to sign within hours of the rule’s publication in the Register. Even in the most forgiving of lights, the appearance is unseemly and should necessitate the withdrawal of the proposed rule. It should be noted that members of Congress have requested the same of HHS Secretary Tom Price on these very grounds. The FDA asserts that the NNN limit is “appropriate for the protection of the public health” but relies upon a flawed estimate of risk of smokeless tobacco products as the basis for the proposed standard. The flawed risk assessment inappropriately combines risks of very different products, used primarily by two very different groups of consumers. The most widely consumed smokeless tobacco products in the United States are moist snuff and long leaf chewing tobacco. These products are used primarily by men. Dry snuff products are consumed at much lower levels, have different product attributes and health risks, and are used primarily by a very small and diminishing segment of consumers, primarily women. The latter category of products (dry snuff) represents less than one percent of the U.S. smokeless market. Despite dry snuff being a tiny (and shrinking) segment of the market, its risk profile disproportionately drives the standard for the remaining 99 percent of the U.S. smokeless tobacco market. The risk assessment relied upon by the FDA is based upon a 2008 report . That report is fundamentally flawed because it combines relative risk estimates for men and women who, as indicated above, use different products the risk characteristics of which are vastly different. The report has been contradicted by numerous epidemiologic studies over past decades [2, 3] which demonstrate no significantly elevated risks for oral and pharyngeal cancer for men (who use moist snuff and long leaf chewing tobacco), in contrast to the significantly elevated risks for women (who are primarily consumers of dry snuff). The use of the flawed 2008 report as the basis for the rule is analogous to NHTSA creating a safety standard for heavy trucks based upon the risks of driving a motorcycle without a helmet in the rain. The FDA concludes the NNN rule is necessary for the “protection of public health,” but it is impossible to make such a claim without considering how the rule may alter behavior of consumers who regularly consume nicotine from American smokeless tobacco products. Among other things, the FDA should consider the actual risks of smokeless tobacco products versus the known and serious risks associated with smoking. 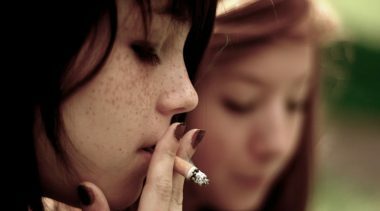 The scientific community has long accepted that most people smoke at least in part for the nicotine but are harmed primarily by other constituents of the smoke that results from burning tobacco (as tobacco researcher Michael Russell said over forty years ago, “people smoke for the nicotine but they die from the tar”). As FDA CTP Director Mitch Zeller stated at a public workshop in 2014, “for years, the spectrum of nicotine-containing products in the United States has ranged from the most harmful, cigarettes, to the least harmful, nicotine replacement therapy cessation aids. 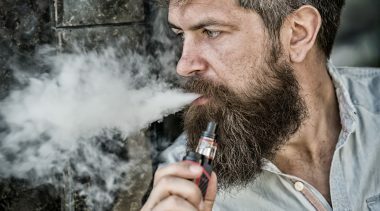 With the advent of e-cigarettes and other novel products, there’s an increasing diversity of nicotine-delivering products.” Smokeless tobacco products, being devoid of the combustion of smoking, fall toward the less harmful end on the continuum of risk. Adoption of this rule would likely result in some smokeless tobacco consumers moving from less harmful, non-combustible products to significantly more harmful combustible cigarettes. Depending upon on how the number is calculated, there are likely between 4 to 8 million adult consumers of smokeless tobacco products in the U.S. According to the National Survey on Drug Use and Health (2014), over 33 percent of smokeless tobacco consumers have never smoked, and over 25 percent are former smokers who now use smokeless tobacco exclusively. 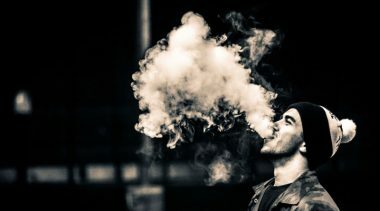 It may not be easy to determine precisely, but the FDA does not appear to have seriously considered the strong likelihood that that many “never smokers” and more “former smokers” will seek a different means of satisfying their desire for nicotine. If the product is changed so markedly as to make it dramatically less satisfying to those consumers, or if the standard simply cannot be met, creating a de facto ban on American smokeless tobacco, many of those consumers (especially former smokers) are likely to switch to smoking to satisfy their nicotine habit. Such an outcome would have severely negative health consequences for them individually and more broadly at the population level. Likewise, the FDA should consider the nearly universal misperception that smokeless tobacco use is as dangerous, or even more dangerous than smoking. 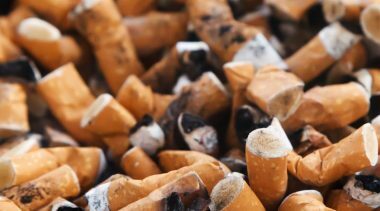 Multimillion dollar government campaigns such as “Through with Chew Week” and this proposed rule itself serve to further perpetuate this deadly misperception. The longer the misperception remains, and the stronger it becomes engrained, the more smokers fail to consider switching to safer alternatives. The proposed rule should be abandoned because the risks to the population, including users and non-users of tobacco products, have not been appropriately considered, as required by Congress. As noted above, there is good reason to believe this rule may create an effective ban on most U.S. smokeless tobacco products. That ban will have economic costs. NNN levels are greatly impacted by relative humidity (weather) that we know isn’t constant from year to year, day to day or even field to field. The 1 ppm (dry weight) NNN standard is arbitrary and the FDA fails to establish any basis demonstrating that standard (versus 2 or 3 ppm) will improve safety or health. The current standard may not be achievable because of the climates where this unique dark tobacco is grown in the U.S. If the rule is finalized, over 1200 long-time farms that have relied on this crop for generations would likely lose the economic benefit of producing crops with an estimated cash value of over $170 million annually, benefitting businesses and small communities in Kentucky and Tennessee. This region is home to many ancillary and dependent businesses, including multiple major manufacturing facilities that would likely close if the rule is adopted. Not only does Congress prohibit such a ban in the underlying Act, but such a ban would cause significant economic harm. 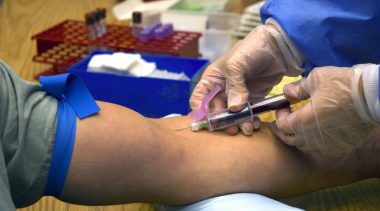 NNN has been demonstrated to be an animal carcinogen in rodent tests, but no such basis exists demonstrating that it is a human carcinogen. Prior to proposing a rule with such serious negative consequences, the FDA should seek additional research that establishes the extent of any causal connection between NNN and human oral and/or pharyngeal cancer. Based upon the procedural, legislative, scientific and economic rationale outlined above, I respectfully request that the proposed rule be abandoned.